A conservatory is one of the most special rooms of your home; it's a place where you go to relax, read the news paper or a book and it provides a link and a view to your garden. 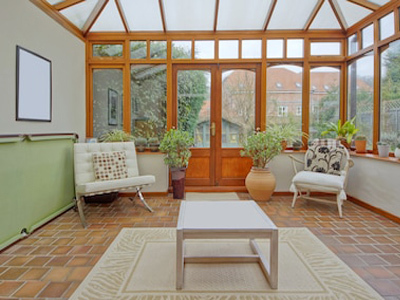 Depending on the construction of your conservatory, chances are it's difficult to maintain a comfortable temperature inside, which is one of the main drawbacks to the large glass windows. At Aircare Air conditioning Ltd, we understand this, we provide state of the art conservatory air conditioning units to households throughout Liverpool and the North West. Our products, which include A rated inverter AC systems stand apart from the competition as they are able to cool and heat air up to 300% more efficiently than a standard, more expensive heating system. This is achieved through innovative technologies and modern air source heat pumps. What's more, all of our conditioning units for conservatories are environmentally friendly, and could reduce your household heating bill when used as opposed to a standard central heating system. We offer a free site survey on all our installations and our engineers are fully qualified and experienced to answer any questions you may have.